Beach getaways aren’t just for summer. 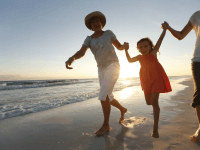 A fall beach vacation is a great way to enjoy lingering warm weather — and much smaller crowds. Whether you’re planning a romantic beach vacation for two, or a weekend getaway in Florida with friends, consider Hilton Sandestin Beach for your next fall beach vacation. Temperatures in the area remain in the 70s throughout much of October and November. Visitors love to dip their toes in the surf throughout the early fall season, and relax in our beach chairs with a good book (or a drink!) during these months. Or, head to our indoor pool to take a dip in a temperature-controlled environment. Fall is also known for its beautiful beach sunsets. As the days get shorter and the sun sets earlier, the colors become more and more vibrant. There’s nothing quite like a fall sunset over the Gulf of Mexico. Our Sunset Deck, or the private Gulf-view balconies in our rooms and suites, are both perfect places to watch the sun go down. Nearby Destin and South Walton are both home to exciting festivals and events throughout the fall. Each October, locals and visitors alike enjoy the multi-day Festival of the Arts presented by the Mattie Kelly Arts Foundation. The festival features fantastic fine art exhibits, live music, food and wine, activities for kids and more. The charming beach towns along scenic Highway 30A also host farmers markets throughout the fall, with seasonal farm produce, fresh breads and baked goods, prepared foods and more. Many vendors also offer fresh local seafood. For more information about the various farmer’s markets in the area, visit sowal.com. 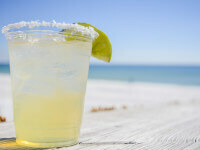 Foodies will also enjoy great beer, wine and cocktail festivals in October, including the Baytowne Wharf Beer Fest at Sandestin and the Bloody Mary Festival at The Market Shops. There’s also plenty to do on property in the fall. Within the walls of Hilton Sandestin Beach Golf Resort & Spa, we offer six unique dining venues, an award-winning spa, golf-access and more. 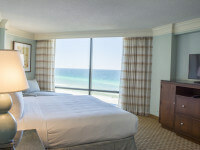 Fall is a great time to enjoy all that Hilton Sandestin Beach has to offer with someone special. Reserve a romantic Ambassador Suite with a balcony overlooking the Gulf, book a side-by-side couples massage at Serenity by the sea Spa, and dine at the romantic AAA-Four Diamond Seagar’s Prime Steaks & Seafood. 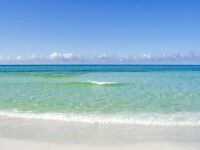 Hilton Sandestin Beach provides the perfect backdrop for a relaxing and romantic beach vacation. Join us at Hilton Sandestin Beach for your next fall weekend getaway in Florida!